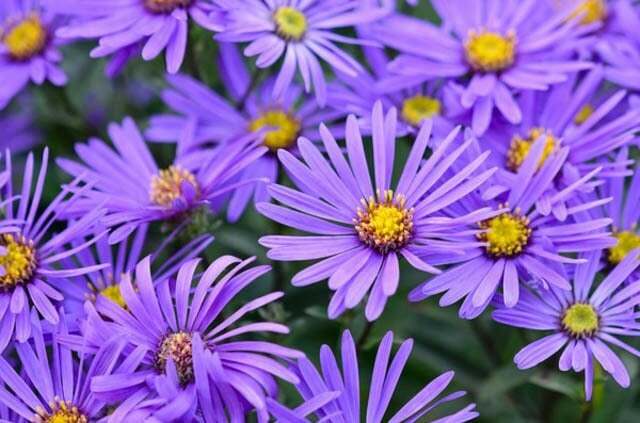 Italian aster (Aster amellus) are daisy-like perennials and are super easy to grow. There are over 600 varieties. The yellow center of the Asters is actually comprised of many tiny flowerets. They grow best in moist, well drained soils with full to partial sun and can grow up to 8 feet tall. Plants Asters in the fall to allow them to get established before winter or start them as a plotted plant.